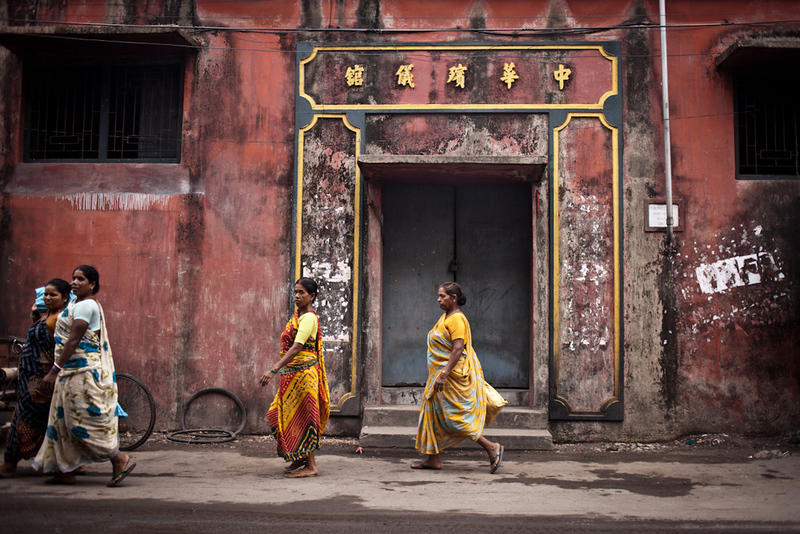 Kolkata is home to India's only Chinatown. Situated in the eastern part of the city, the locality was once a thriving Kolkata suburb home to 20,000 ethnic Chinese. The locals I talked to say in the past year or so has dropped to around 200 permanent Chinese-Indian residents. The traditional occupation of the Chinese community here had been working in the nearby tanneries and Chinese restaurants. Around 10 years ago the Tanning factories started to relocate to the outskirts of the city because of complaints and fears of the toxic sludge they produce as a by product. This sludge contaminates water supplies and causes heavy environmental damage. Today only a few factories remain but it is clear to see their toxic legacy in the murky ponds surrounding the area. With the collapse of the industry most of Chinatowns younger residents have moved abroad to work and study in the US and Canada. Leaving an aged population of 3rd generation Chinese Indians. 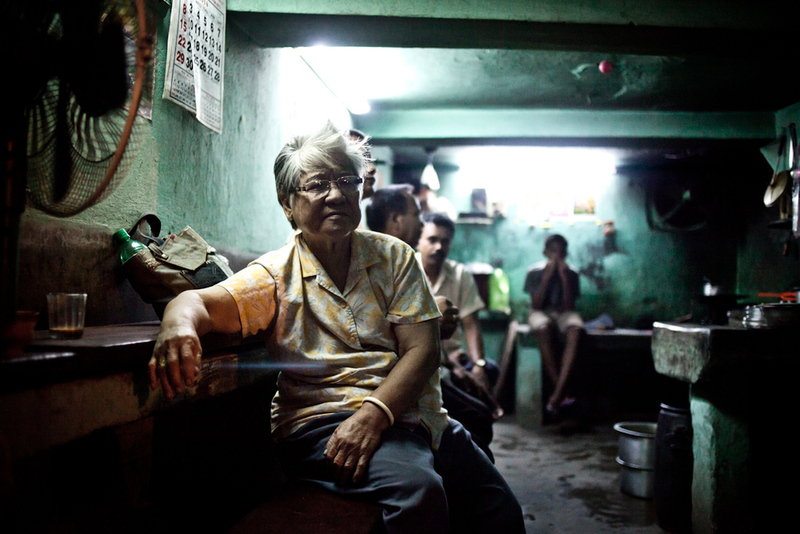 Mr Chung is the eldest survivor of four generations who have lived in China Town. His grandparents escaped from China and fled through Burma to make a new life in India, selling Haka noodles on the street. Mr Chung is the owner of a successful Chinese restaurant. His sons who all live and work abroad.